Documentary filmmaker, freelance journalist and reporter, Hind Meddeb hasn’t stopped moving between France, North Africa and the Middle East. A citizen of both sides of the Mediterranean, Hind’s duality frees her opinions from typecasting and common judgements. Her reports for ARTE TV in Tunisia, Egypt and Lebanon show the complexity of a situation usually beyond any stereotypes. Her first film Casablanca: One Way Ticket to Paradise follows the destiny of the 14 Moroccan suicide bombers in who struck Casablanca in May 2003. 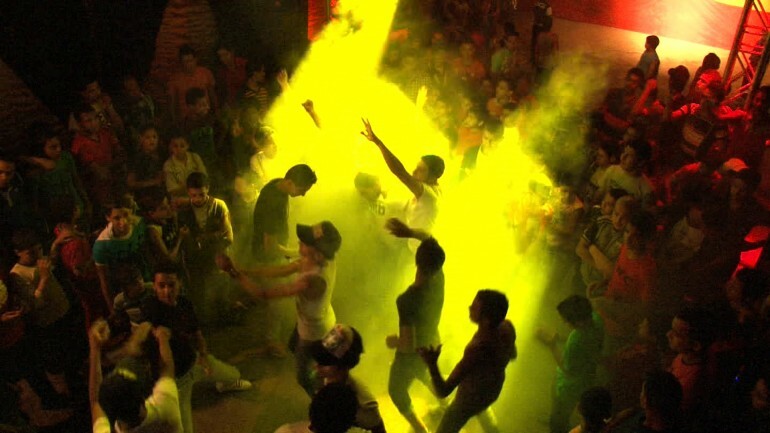 Her latest film, Electro Shaabi, throws us into the world of Tunisian rap: contesting, politically engaged and coloured by the range of political tendencies, from the secular to Islamic fundamentalism.